The Calgary Flames have signed forward Elias Lindholm to a six-year contract with an average annual value of US$4.85 million. 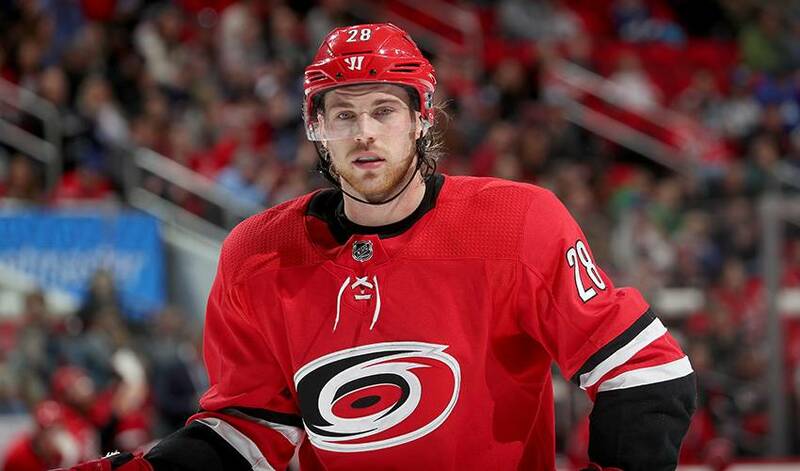 CALGARY — The Calgary Flames have signed forward Elias Lindholm to a six-year contract with an average annual value of US$4.85 million. The native of Boden, Sweden was acquired by Calgary along with defenceman Noah Hanafin in a June 23 in a trade that sent defencemen Dougie Hamilton and Adam Fox and forward Michael Ferland to Carolina. Lindholm had 64 goals and 124 assists in 374 games over five seasons with Carolina. He had 16 goals and 28 assists in 81 games this past season. The 23-year-old was drafted fifth overall by Carolina in the 2013 NHL draft.